Lacquers provides a non-fading, weatherproof protective layer to various acrylic or alkyd paint covered surfaces. 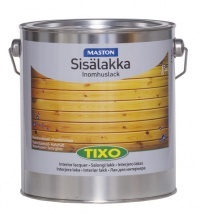 TIXO interior lacquer, half matte, 1 liter UV-resistant half matte water-based acrylic interior lacquer for dry conditions, for use on internal ceilings, walls and furniture. Not suitable for floors. This is how you succeed! 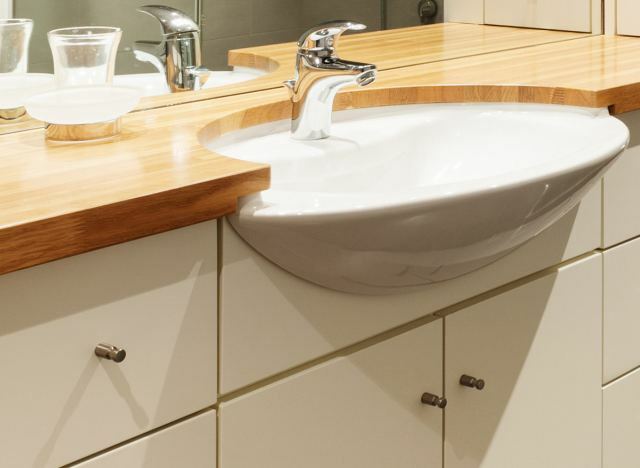 Clean the surfaces to be interior lacquer. Polish the old interior lacquer until it is matte. Mix carefully. When interior lacquer for the first time, dilute with water 5-15%. The second coat of interior lacquer should be applied un-diluted, approximately 3 hours later. Work temperature should not be below +10 °C. 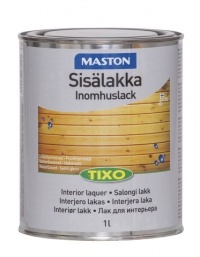 Make sure all nails and fasteners are suitable for water-based interior lacquer. Apply interior lacquer approximately 3 hours later. Ready for use in 12 hours (+20 °C). Wash the diluting agent and tools with water. Protect from freezing.